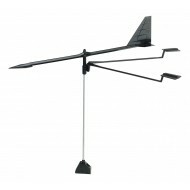 The Hawk Wind Indicator lightweight wind indicator with a balanced arm and the Hawk 'V' jewel bearing surface. The Vane arm is made from super tough Nylon giving good rigidity and UV Protection. The support rod is high grade aluminium allowing it to be bent if required or straightened should it be k.. The Great Hawk is a scaled up version of the original Hawk. It is designed for Cruising and Racing Yachts up to 20m. 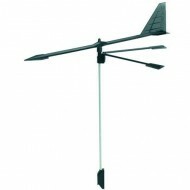 The Great Hawk Vane arm is made from the same super tough nylon and the Reference Arms are made of glassed filled nylon for ultimate rigidity and UV Protection. The precision balanced.. 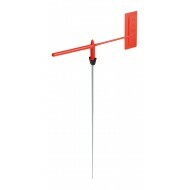 The Little Hawk MK1 is a small lightweight and robust Wind Indicator designed to be positioned at the top of the mast on dinghies upto 6m. 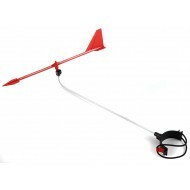 Very popular with Optimists and Toppers the Little Hawk MK1 is also ideal for any dinghy that wants accurate wind direction information with minimal weight and d.. The Little Hawk Mk2 brings all the benefits of the Little Hawk Mk1 Wind Indicator and mounts it in a secure manor at gooseneck height in front of the mast. 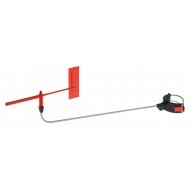 Designed for smaller single handed Dinghies, the Little Hawk Mk2 allows quick and accurate reference to wind direction without having to look at.. The Cat Hawk is designed for non-spinnaker Catamarans up to 8m. It has been developed to mount onto the front of the Forestay Bridle where it is ideally situated for maximum visibility both upwind and downwind. 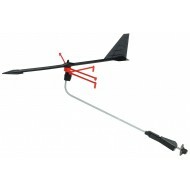 The Cat Hawk uses the same Vane Arm as the Hawk with all the benefits of Balance, Weight .. The Hawk Race brings all the benefits of the Hawk Wind Indicator and mounts it in a secure manor at goose neck height in front of the mast. Designed primarily for larger single handed Dinghies, the Hawk Race allows quick and accurate reference to wind direction without having to look at the top of t..